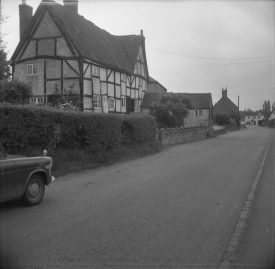 The Parrott house in 1967, Stretton on Dunsmore. Warwickshire County Record Office reference PH(N)212/56/1/49. Part of a photographic survey of Warwickshire parishes conducted by the Women's Institute. 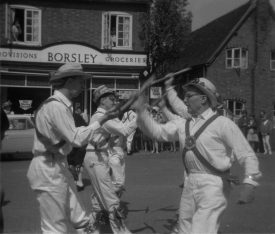 Morris dancers in Stretton on Dunsmore, 1967. Warwickshire County Record Office reference PH(N)212/56/3. Part of a photographic survey of Warwickshire parishes conducted by the Women's Institute. In addition to being Web Editor for the Our Warwickshire website, I’ve been lucky enough to work at the Warwickshire County Record Office for a few years. In fact, I liked it so much… I came back! This is handy when it comes to my own articles that I’ve written for the website, as I know there’s a vast resource available at the record office (subject to permission to publish being granted, of course). One such collection is currently being listed into CALM, the on-line catalogue system used to improve access to the documents available. In 1967, the Women’s Institute conducted a photographic survey of Warwickshire villages and, from my point of view, this has proved a godsend. I come from Stretton on Dunsmore, a small village near Rugby, and my parents have lived there since 1967… coincidentally the year of the photographic survey! So the photos were a step back in time, an echo of a place I knew well, yet showing how it had changed. Despite being in black and white, the images add colour to articles I have written for the site. The image of the ‘Parrott house’ used for this page was particularly helpful, as it filled a gap in its visual time. It’s no longer there, and a picture of it when it was still lived in, but looking slightly in need of love and attention filled a gap in its history – all thanks to the WI photographic survey. 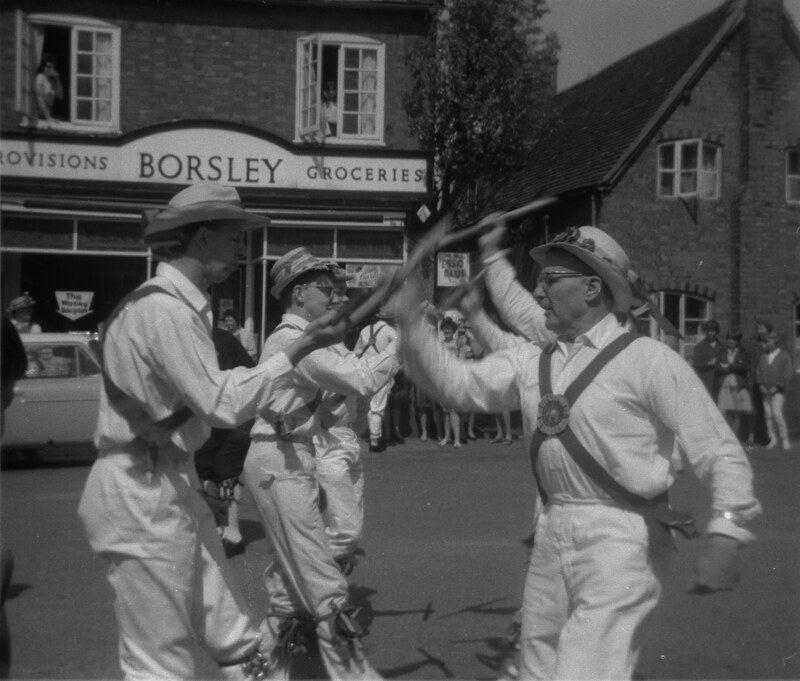 The photos also allowed my father to recognise his old teacher morris dancing within the village! This added an unexpected twist in a general article about morris dancing I intended to write, and a personal touch. As a counter to the pseudo-academic text I was intending to write, it allowed for a personal memory, showing that even when spanning the wide landscapes of history, the local space and peoples’ memories can still join together and add context to texts, allow them to not stand alone. That page stands here. Naturally we’d love articles from well… you – about the history, heritage and natural environment of the county. If you’ve got an image and a few words you’d like to share with us about a subject (be it family history, local history, significant events, or even the landscape of our county) then do please contribute. Click on ‘get involved‘ and, well… get involved! Comments on articles already on the site are always welcome, too. It makes so much sense to have historic documents and photos online, where they can be easily viewed form anywhere, and at any time of day.